In another shocking twist in the Sandy Hook saga, Filmmaker and Author William Brandon Shanley Launches Wave of Lawsuits for more than $1 Trillion Against Big Media Over Sandy Hook Massacre Coverage. 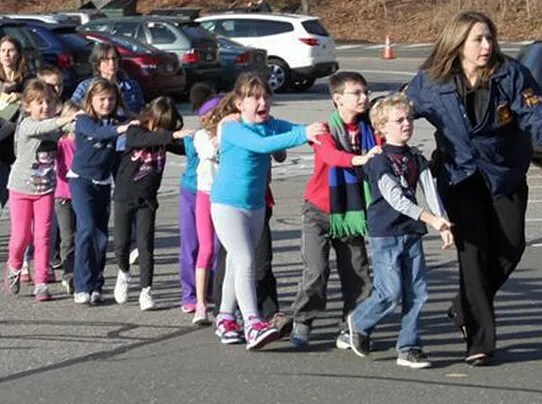 “After exhaustive research, the good news is that overwhelming evidence reveals that no children or teachers died at Sandy Hook two years ago. For relief, I have filed lawsuits against the media in US District Court in New Haven for Fraud and Terrorism. Not my video, but important nonetheless. My partner and I became fed up with the mainstream media’s depiction of what took place in Newtown, Connecticut on December 14, 2012. So on January 20 we traveled there from our home in Ottawa, Canada in an effort to visit the sites and respectfully approach the locals. Inside the tent was a chaplain who asked that I not take any photos. There were hundreds of stuffed animals and candles as well as children’s art from around the country–if not the world. Inside was also a donation jar that was at mid-afternoon close to full of money. We signed one of the boards with condolences from Canada. I saw adults and children inside the tent on the two visits we made. No one was there who was impacted directly. I asked the chaplain if she had seen any children whom had been impacted. She did not answer. We spent January 21 in Newtown visiting the Sandy Hook School and Sandy Hook Volunteer Fire House, Gene Rosen’s residence, the 100 Church Hill Restaurant (and pub), the Newtown Bee offices, as well as the Newtown Police Department. We found that the school can not be seen from the front when coming down Riverside Road which is the only access to the school passing the fire house. This may explain why there was no “media” photos of the broken / shot out glass at the front. Dickenson Road was closed with layers of orange cones and numerous “No Trespassing” signs. The entire school is now enclosed with fencing, barbed wire, no trespass and surveillance signage. The front of the school is entirely boarded up which would be consistent with broken glass. The lettering from the front of the school “Sandy Hook Elementary” is removed. The side door and other windows were not boarded up. No cameras could be seen at the front door or anywhere on the property. Gene Rosen lives next door to the fire house. Thus Ms. Victoria Soto’s students that landed on Mr. Rosen’s yard had to come down Dickenson Drive and turn right, passing the fire house, to get to Mr. Rosen’s. A lady at the Rosen house would not answer the door when I knocked. We sat at the 100 Church Hill Restaurant for a couple of hours. There were about 10 people inside. There were about 100 drawings from children from around the country (if not the world) offering condolences and well wishes. No one was talking about these. My partner and I spoke with a couple in their early twenties for an hour or so. They were life long locals. Eventually they asked why we were in Newtown and we told them we had heard of their tragedy. They did not comment further and we did not push the issue. We then went to the offices of The Newtown Bee, the community’s weekly newspaper, where we spoke with the editor, Mr. Curtis Clark. Mr. Clark did not offer a warm reception and stated from the start that they were concentrating the paper’s efforts on healing efforts and that he had little time. I told him I was there to follow up on The Bee’s report that stated, in part, “A man with a gun who was spotted in the woods near the school on the day of the incident was an off-duty tactical squad police officer from another town, according to the source.” I asked who this officer was, and why he was in the woods. I told Clark I was familiar with Snopes, but it was The Bee that reported that this was an off duty officer prancing about in the woods on the day of the shooting. Clark would not address this report and became very agitated with me “interrogating” him. “I don’t intend to discuss this any further with you,” he said. Mr. Clark then referred me to the Newtown Police for any additional questions. As I was walking out of the office I overheard a lady on the phone explaining to a caller that “there is an ongoing investigation,” and referring the caller to Snopes.com. Next, we proceeded to the Newtown Police Department. After entering I walked up to the glassed-in safety window, picked up the phone on the wall and asked the attendant on the other side if I could speak with the Communications Officer. I explained why. He directed me to The Newtown Bee. I advised him that The Bee had directed me to them and he asked me to have a seat. The room was rectangular with doors on both ends. Then, a male and female police officer simultaneously entered through each door. I addressed the female sergeant, telling her I would like to know who was the off duty tactical officer The Bee reported on on December 27. A male officer I was not addressing repeatedly ordered me to remove my hands from my pockets. The female sergeant told me that the man detained was the uncle of a student at the school who had gone to get his niece. I asked about the police scanner audio where the dispatcher reports that a caller from inside the school saw “two shadows” run by the gym at the back of the school. Crestwood Drive borders that backside of the school beyond some woods. The sergeant told me that this was the confusion of the day and that there were not two individuals. “It was just someone that went crazy, killed a bunch of people and then killed himself,” she said consolingly. The Newtown School Tragedy: More than One Gunman? Evidence suggests that 2 additional Sandy Hook shooting suspects were apprehended by police in the minutes following 9:35AM when officers were dispatched to the elementary school. NELSON, GA — The town of Nelson is now making headlines as city council members propose a new law that will make it mandatory for the Head of Household to own a firearm as the recent Sandy Hook School shooting has scarred residents that they might lose their 2nd Amendment rights. If passed on April 1, 2013 the law will require nearly 1400 residents to own firearms in a town with virtually no crime. One citizen said to the AP, “We got the right to bear arms and we’re going to do it” while another was quoted, “This is appalling that the city would come up with a sham ordinance like this one”. Locals question if the law will even be enforced and also wonder if it isn’t enforced what other laws will then slip. However the actual proposal of the was backed by the police chief. Shepard Ambellas is the founder & director of Intellihub.com (a popular alternative news website), researcher, investigative journalist, radio talk show host, and filmmaker. Watch and subscribe to Shepard on Youtube.com/user/NotForSale2NWO. Please feel free to checkout SHADEtheMotionPicture.com (An Ambellas & Bermas Film). Sandy hook dad tells the truth. Everyone is latching on to the idea that nobody died at Sandy Hook and this has become one of the most discussed topics in the conspiracy theory community. From the beginning, I felt that this was not the case, that it was based on speculation without any real evidence. As more and more info emerges, I am finding that everything points to the killer (or rather, killers) having done this to perform a ritual sacrifice. The wider implication of this, in my mind, is that the ‘it was actors and it never happened’ campaign is probably even an intentional disinfo operation undertaken to confuse the public and divert attention from what most likely really did happen- which was something far more sinister. It has been reported now that Adam Lanza had a webpage all about devil worship. .Not only this, but the town of Newton, CT has been known to have Satanic activity. I would think that for something so evil to happen, th edevil would have to be involved in one way or another. Another thing people are saying is that the parents and other witnesses seem insincere in their grief and must therefore be hired actors, so I have addressed this point as well as alternative explanations for their behavior. Please let me know what you think. For the record, I do not think the whole thing was fake or that all these victims’ families were involved in a plot. Although I do suspect that there was more than a ‘lone wolf’ involved, I think a real tragedy unfolded involving a lot of innocent people and their families and my prayers go out to them. I think the devil was at work here and Adam Lanza was most likely not the only one involved, but that doesn’t mean the whole thing was fake. The whole thing just horrifies me. Please, people, be logical. If an actor who wanted to ‘make it’ would agree to lie on national TV about being the victim of a horrible incident, then that would be the END of his career as an actor, because from then on the whole nation would recognize him as the ‘parent of the murdered child’. No actor, not even a desperate and unscrupulous one, would be dumb enough to do that. Plus, someone who knows him in real life is bound to leak that he was lying about being a victim. This leaves only two possibilities: either the parents/witnesses are lying (but about what?) or they have other reasons for not being in the kind of state usually associated with profound grief. They may be in shock, it may not have fully hit them yet, they might even be taking some kinds of tranquilizers or such to help them cope. It could be anything, but the idea that they are hired actors makes the least sense of all. No pictures of the door shot up – nor of 600 students being evacuated – the one picture of children being taken out is apperently from an emergency drill earlier in the year. On Sunday, 28 April 1996, at a sleepy little tourist location known as Port Arthur, something went down that will long live in memory of Australia’s collective psyche. An unknown professional combat shooter opened fire in the Broad Arrow Cafe at Port Arthur in Tasmania. In less than a minute 20 people lay dead, 19 of them killed with single shots to the head, fired from the right hip of the fast-moving shooter. The awesome display of combat marksmanship was blamed on intellectually impaired Martin Bryant, who was held in illegal strict solitary confinement for more than 120 days, until he was “ready” to plead guilty. There was no trial. Within a matter of weeks legislation was passed to removed semi-automatic weapons from the Australian population and a gun buy-back proceeded. It is now illegal to own any semi-automatic gun in Australia.